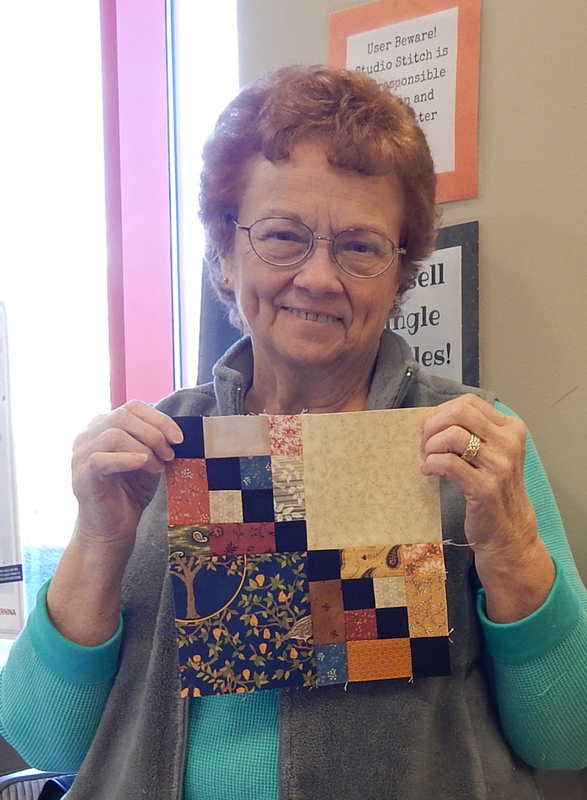 Gail chose the more challenging smaller size and still was the first to finish a block! Sorry I got the glare on the glasses, but the block is beautiful! 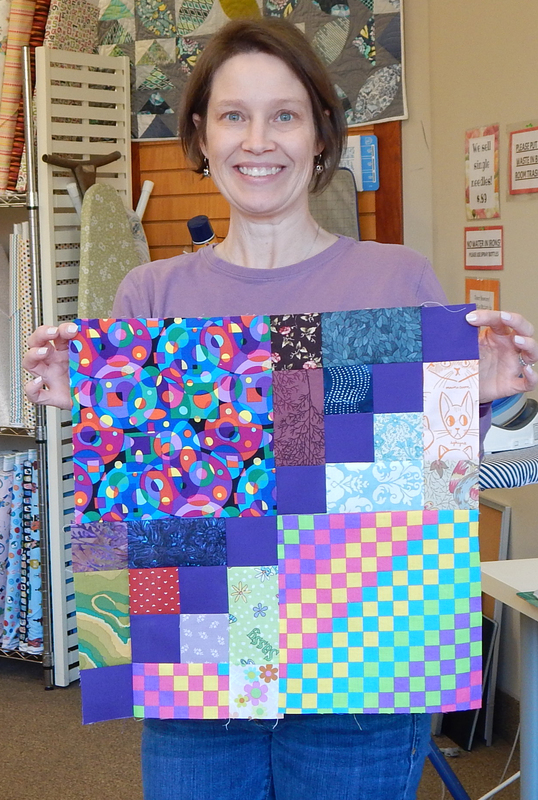 This woman made a small block, too! 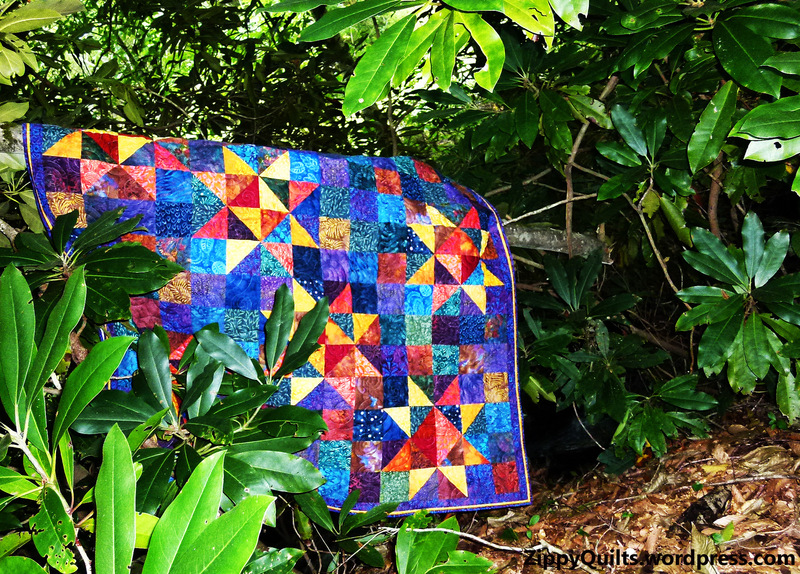 I looove this quilt! Join us if you can! This entry was posted in Quilting, scrap quilt and tagged quilt scraps, scrap blocks, scrap quilt, scraps by zippyquilts. Bookmark the permalink. Hmm. Why would the block being directional make it “considerably more difficult to get right”? I looked at these blocks, and if you are working from a chart, I can’t see any difficulty at all in assembling them. Am I missing something? I am one of the slapdashers…but this looks like great fun. 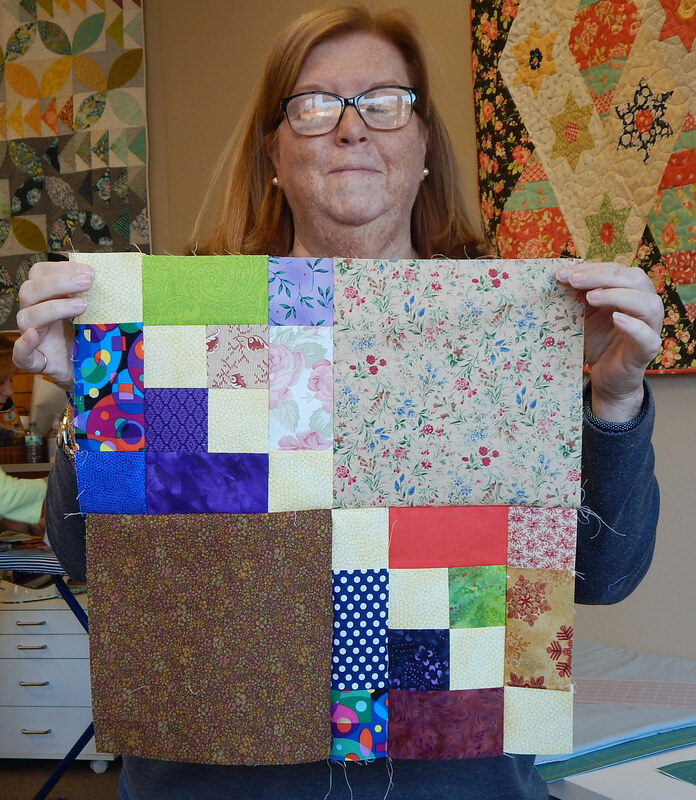 I started cutting leftovers and I have a quilt in the making…thanks to you! Woo-hoo! Can’t wait to see it! I do like scrappy designs — and especially the way the chain patches provide a “path” for the eye to follow. Agree! I’ve become quite a fan of chain patches. 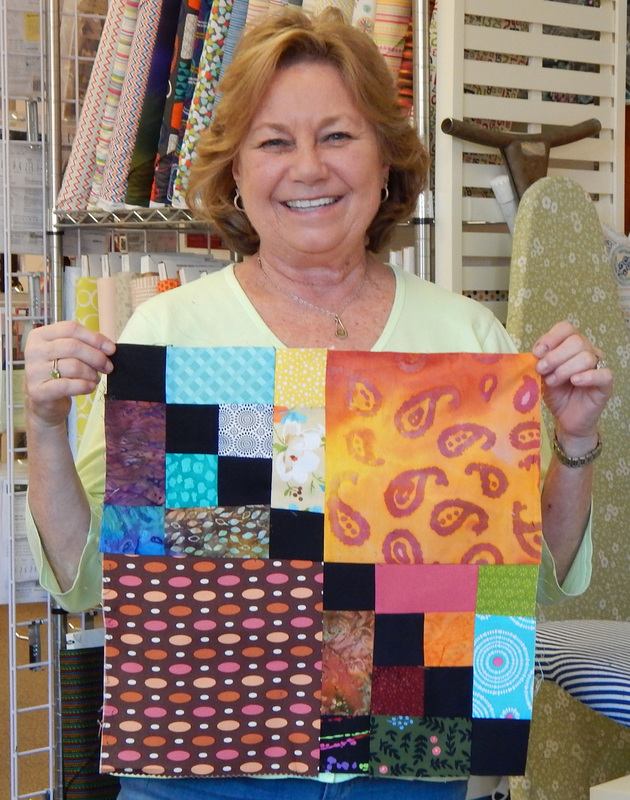 While I love brights, my fav here is the first one – Gail’s. Go for it! There are always plenty of scraps!